Our new service follows the introduction of traceable diamond engagement rings (read our section on CanadaMark engagement rings.) We now offer the option to create custom-made diamond wedding rings, set with fully traceable diamonds. Most diamonds that are bought and sold, include a certificate. 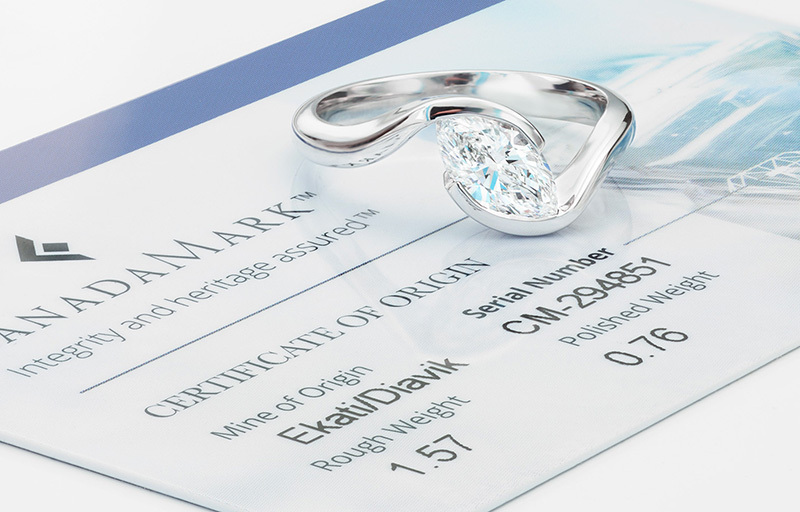 Whilst the certificate determines certain details (size, shape, carat weight, colour, clarity etc.) it does not give buyers an idea of where the diamond came from. 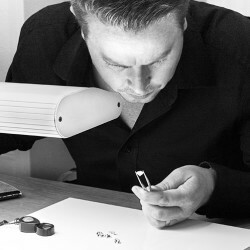 Traceability is largely overlooked by most jewellers. Only a small percentage of jewellers give buyers the option to know where the precious metals and stones originated. This can be difficult because mainstream jewellery seldom takes the origin of raw materials into consideration. Diamonds that are 100% traceable need to be a part of a system that tracks the stone from the mine to the polished diamond. CanadaMark diamonds do just this. 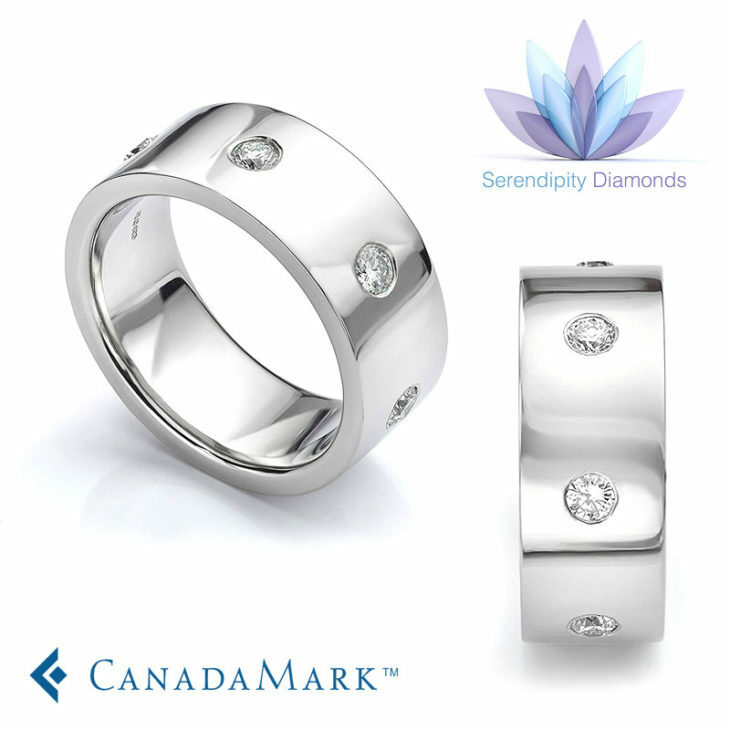 Certified CanadaMark diamonds include an individual card recording the mine of origin and rough diamond weight. Following the introduction of traceable diamonds for engagement rings, we can provide small diamonds (in any quantity) set into wedding bands and shoulders of engagement rings. Our main image shows flush set diamonds within a wedding ring by way of example. A single diamond or a full set of diamonds are possible with the reassurance of traceability. Combine your ring commission with ethically sourced Fairtrade Gold and you have a completely traceable, 100% ethical diamond wedding ring. 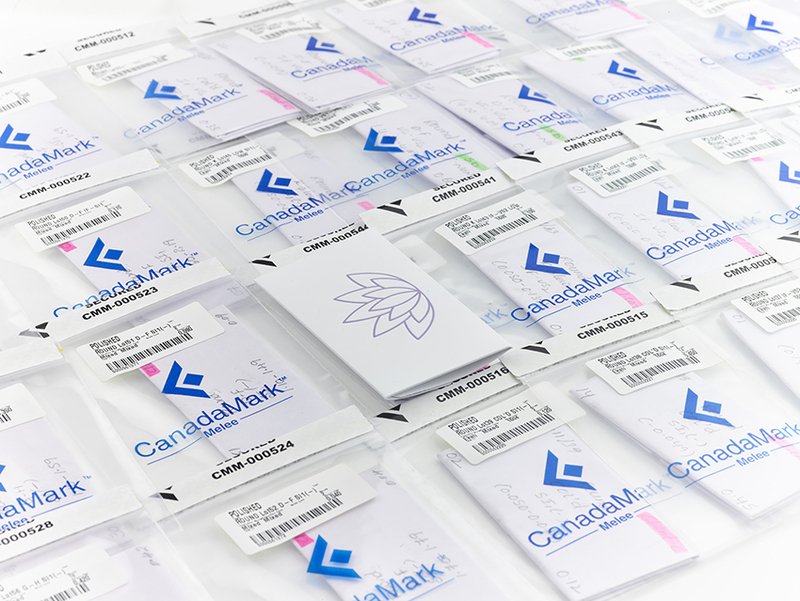 If you are interested in purchasing smaller ethical diamonds, we have specially sealed CanadaMark parcels available in limited supply. Smaller diamonds below 0.25 carats do not include a CanadaMark card, but are sealed and 100% fully traceable and available to purchase. View some of the limited stock parcels available for immediate delivery. The following list of diamonds are perfect for jewellers who would like to add diamonds to their commissions using 100% ethical diamonds in smaller sizes.